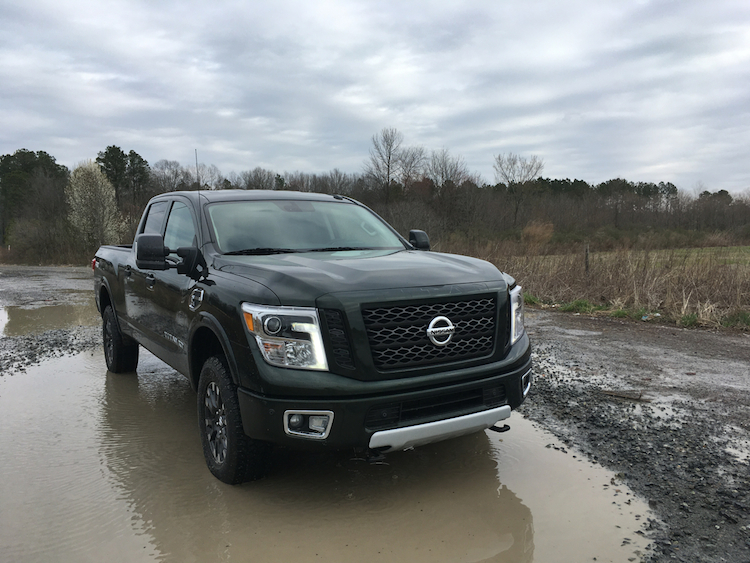 The 2019 Nissan Titan XD is now in its fourth year. We’re no stranger to the Nissan Titan XD, a model we first previewed in December 2015 ahead of its introduction. To quickly clear the air, there are two full-size pickup trucks from Nissan. The standard Titan rolled out in 2004, skipped the 2016 model year before the second-generation model followed in 2017. In 2016, as Nissan was readying the new model, the company released the Titan XD, which is neither a light- nor a heavy-duty pickup truck. Notably, the trucks are similar, but each sits on uniquely separate fully-boxed ladder frames. 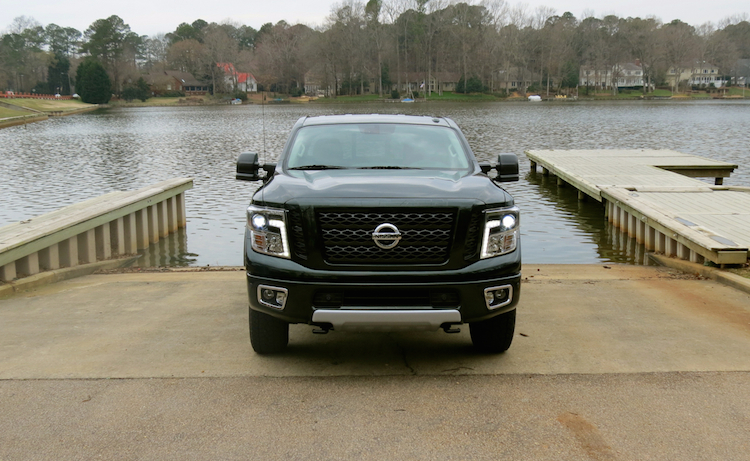 With the Titan XD, Nissan identified a “white space” between the two model segments, which is where this model sits. In other words, if Ford wanted to supply a model between its standard F-150 and Super Duty variants, that’s where you would find it. The same goes for Chevrolet, GMC, and Ram. Nissan’s white space endeavor is all about providing customers with a cost-effective solution to heavy-duty models, which also supply literally tons of towing capacity. The company believes that there are customers who want the size of the larger pickup trucks, but they don’t need the towing capacity (and the attendant higher cost) of a Super Duty or other competing model. Thus, the 2019 Titan XD starts around $33,000 and peaks at nearly double that price. Perhaps, more importantly, is that a Cummins turbo-diesel V8 engine is in the mix, representing a smaller or more cost-effective alternative to the big types of diesel offered by its competitors. Further, the turbo-diesel supplies a pulling capacity of just under 13,000 pounds (in the 4×2 single cab). That’s more than what any of its light-duty diesel-powered competitors offer. 1. You now have a choice of three cabs. Early on, the Titan XD was offered as a Crew (standard four-door) cab model only. But the product line eventually expanded to include King (four-door with rear pivoting rear doors) and single cab models. 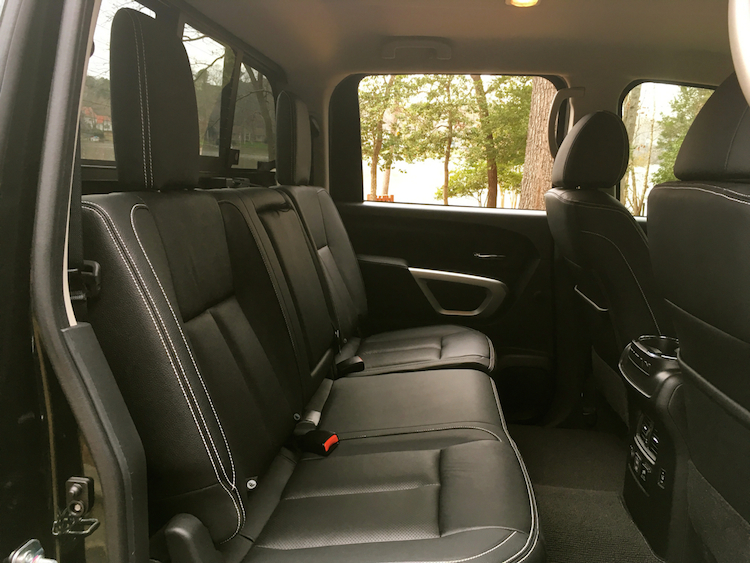 Further, Nissan also offers the King cab with “rear seat delete,” which lowers the cost by a few hundred dollars as it frees up interior storage room. The Titan XD now matches its chief competitors in available cab types. 2. The short and long of it. The single and king cab models share the same 139.8-inch wheelbase, while the crew cab has 151.6 inches between the wheels. 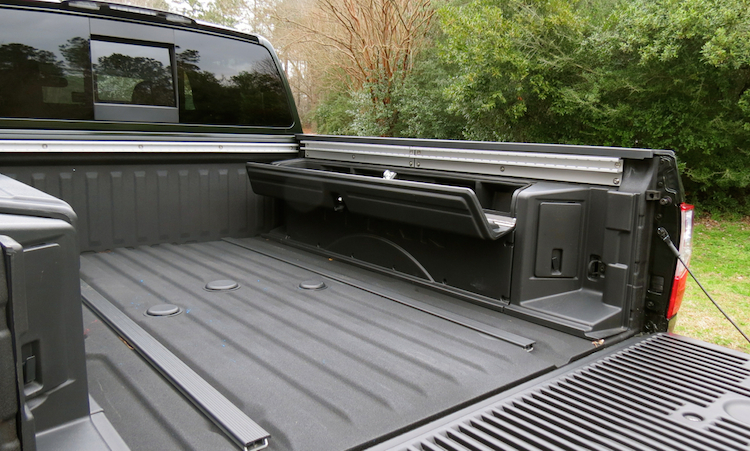 However, only the single cab comes with an 8-foot (98.5 inches) bed. 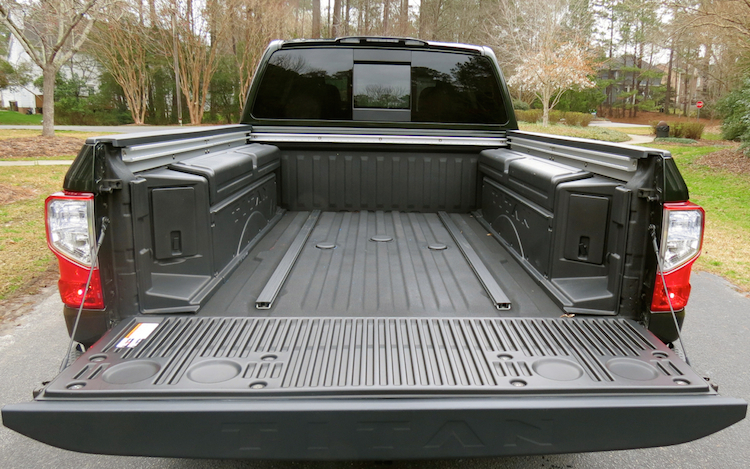 The other two cab styles have a 6.5-foot (78.7 inches) bed. The Titan XD also offers the “Titan Box,” which are located inside the box on both sides of the bed. The boxes are drainable, watertight and suitable for holding cold drinks. They’re also removable, freeing up bed capacity when needed. 3. Your pick of Endurance and Cummins engines. The Titan XD gives customers a choice of V8 engines. The standard Endurance 5.6-liter gasoline V8 (390 hp; 394 lb.-ft. of torque) replaced an earlier engine of the same displacement, adding variable valve event & lift and direct-injection technologies. Nissan also secured an engine from Cummins, the diesel manufacturer which also supplies engines to Ram pickup trucks. A 5.0-liter turbo-diesel V8 (310 hp; 555 lb.-ft. of torque), originally developed by Cummins for Chrysler, became available and serves this Nissan exclusively. This diesel doesn’t attempt to take on the torque or towing power of the industry’s heavy-duty leaders. 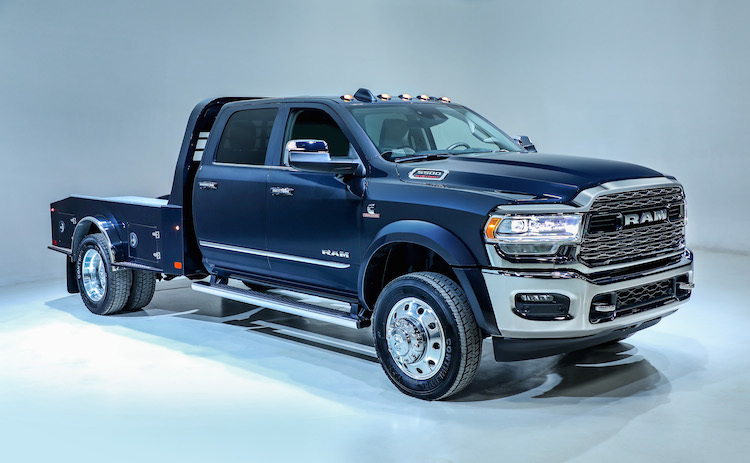 Instead, it’s designed to surpass the performance of light-duty trucks and does so with its near 13,000-pound towing capacity. If you want a Cummins upgrade, you’ll add upwards of $5,630 to your cost. 4. Different transmissions for each engine. Nissan uses internally and externally designed transmissions to send power to the wheels. Both transmissions are controlled by a column-mounted shifter. A 7-speed automatic transmission works with the gasoline engine, while a heavy-duty Aisin 6-speed unit works with the turbo-diesel. The Aisin transmission is specifically designed to handle the elevated torque found in the diesel. 5. Up to five trims available. Ah, trim levels! They’re what turns a bare-bones model into a luxury vehicle the further you move up the trim range. The Titan XD, though, doesn’t make every trim level available across the entire model range. For instance, the regular cab features just two — S and SV, but you do get your choice of two- or four-wheel drive and both engine choices. 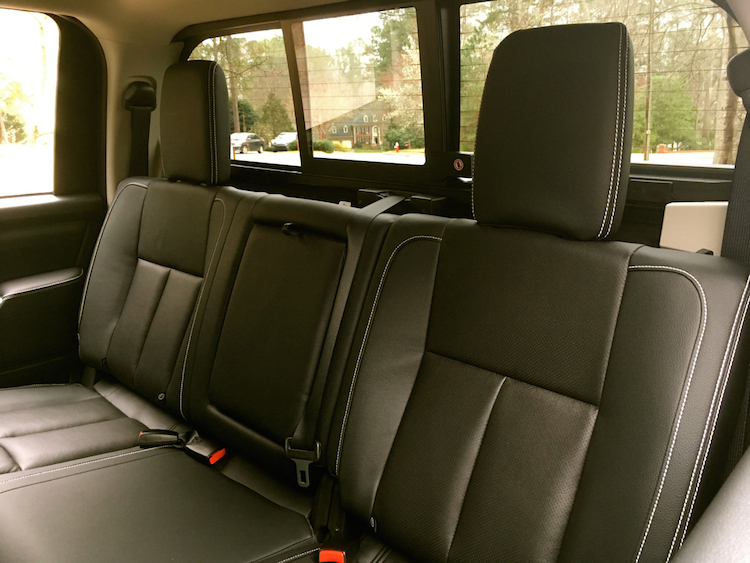 The S model features a 40/20/40 split fold-down front seat and vinyl flooring. It does, however, include navigation. Choose the SV and you gain carpeted flooring, stain-resistant cloth seats, trailer brake control, and an integrated gooseneck hitch with a 7-pin in-bed wiring harness. With the king cab, a PRO-4X edition joins the S and SV. What’s interesting about this trim is that it comes with standard four-wheel drive, Bilstein off-road performance shocks, an electronic locking rear differential, a transfer case skid plate, and hill descent control. 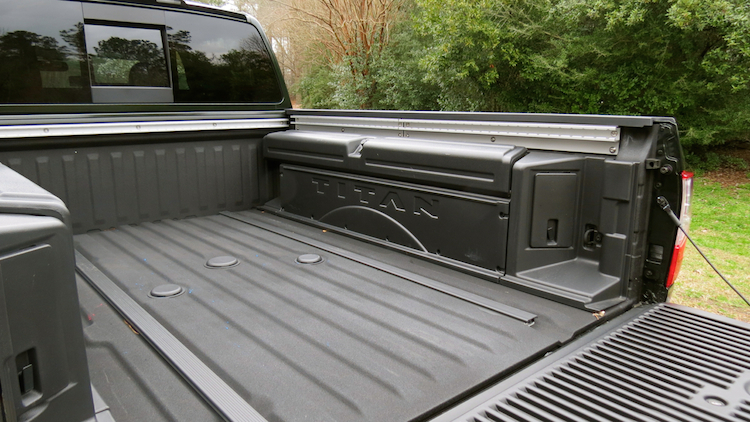 Choose the Titan XD crew cab and you’ll find two additional trims, bringing the total to five. You should also know that this model is four-wheel-drive only, regardless of the trim. The SL brings in such features as remote engine start, leather seats, a power-sliding back window, NissanConnect services and a 10- or 12-speaker Fender audio system. The top-of-the-line Platinum Reserve pulls out all the stops as it includes special aluminum-alloy wheels with painted arch moldings and rocker panels, an around-view monitor, and dark running boards. 6. Numerous packages to choose from. Besides offering varying trim levels, Nissan supplies Titan XD shoppers with a variety of packages to choose from. The S 4×2 trims, however, do not offer packages. With the 4×4 models, you’ll find a few, including the S Utility Package ($845, front overhead storage console, factory-applied spray-on bedliner, Class IV tow hitch receiver) and a Heavy Duty Front GAWR Package ($150, high-capacity front springs). Choose the SV and you’ll find two package choices. The first is the SV Convenience Package ($1,395, automatic headlights, aluminum-alloy wheels, all-season tires, power-heated and manually extended tow mirrors, black step rails, keyless entry with push-button start, voice recognition for audio and navigation, satellite radio, leather-wrapped steering wheel, dual-zone climate control, front and rear sonar system, blind spot warning, rear cross-traffic alert). 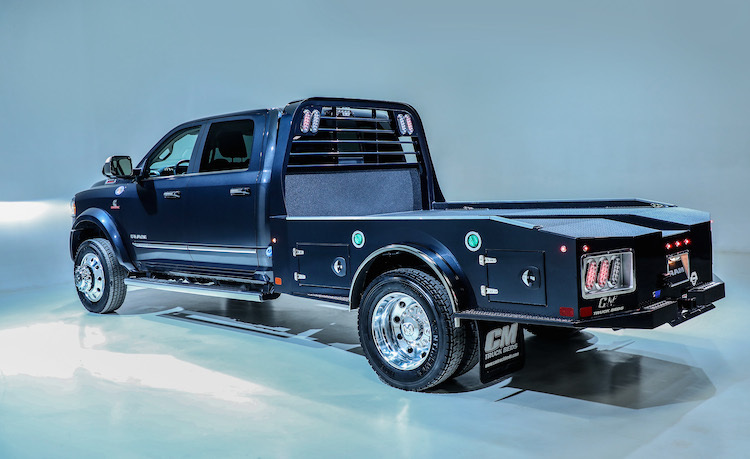 The second one builds on the first (SV Utility Package, $1,145, track channel system with four tie-down cleats, spray-on bedliner, LED under-rail bed lighting, bed-mounted 120-volt power outlet, tailgate area illumination). 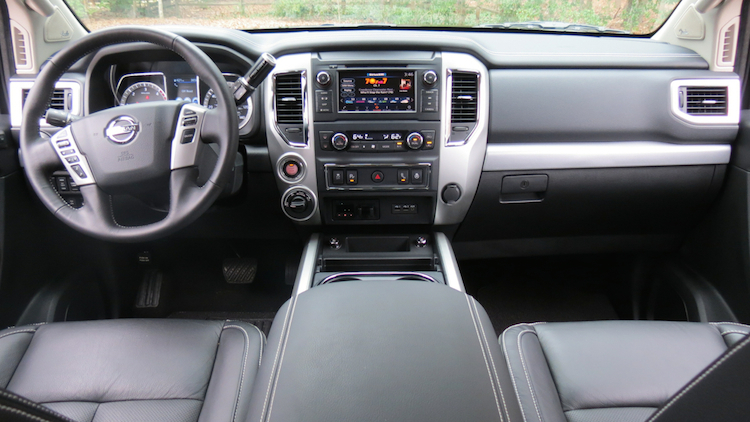 The Pro-4X also offers its own Utility Package ($1,445, 10- or 12-speaker Fender audio with 7-inch color display, power sliding rear window with defroster, bed channel system, LED under-rail bed lighting, tailgate area illumination, 120-volt power outlet, front and rear sonar system, electronic tailgate lock, rear bumper step assist). Building on this package is the Pro-4X Convenience Package ($3,545, remote engine start, leather seats, heated front seats, heated outboard rear seats, four-way power front passenger seat, heated leather-wrapped steering wheel, power tilt-and-telescopic steering column). 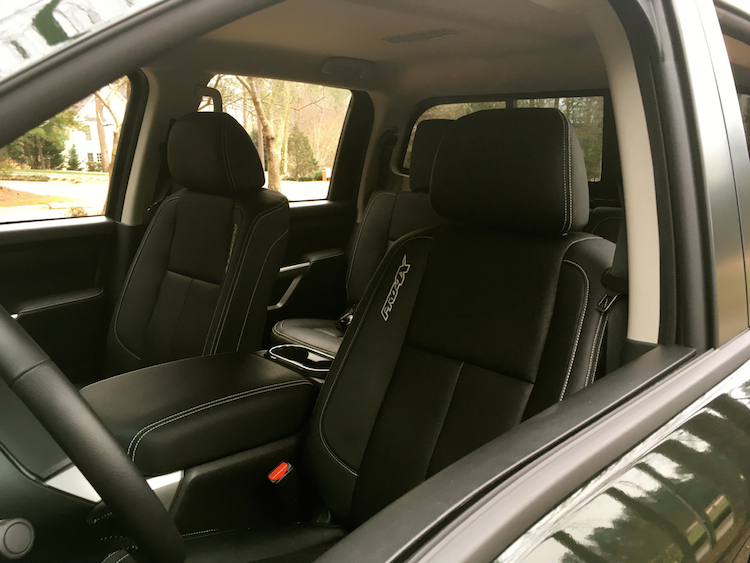 There is also a Premium Package ($1,545, around view monitor, side mirrors with a reverse tilt-down feature, climate-controlled front seats — heating and cooled, Titan boxes). With the SL trim, you’ll find three packages to choose from. The first one is the Chrome Package ($1,245, chrome-clad aluminum-alloy wheels, chrome-finished front grille, chrome exhaust finisher, metallic kick plates). The second package is the Texas Titan Edition, which builds on the first package ($1,295, exterior Texas Titan edition badging, carpeted floor mats with Texas Titan edition logo, metallic kick plates). The third package is the Midnight edition ($1,250), which adds black-trimmed highlights — fog lights with light surround, front bumper, alloy wheels, door handles, mirrors, badging. On the top trim is the Platinum Reserve Utility Package ($750, Titan boxes, electronic tailgate lock, rear bumper step assist). There are no other packages available with this well-equipped model. 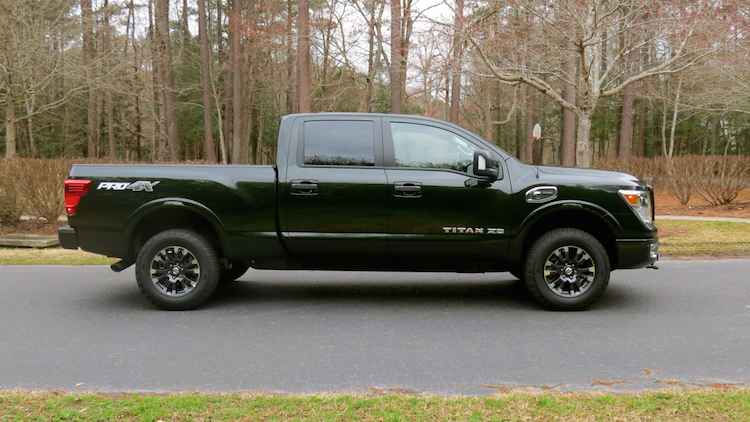 My test Titan XD PRO-4X model came with the turbo-diesel engine and managed well on the road. On cold mornings, the diesel took a bit more time to kick in, following a long pause after I pressed the ignition button. It is easy to forget about the delay, a necessary interlude which allows the ceramic glow plug system to heat the engine. The best way to meet this challenge is by pushing the ignition button twice (keep your foot off the accelerator), allow the glow plug to do its thing. Next, push the ignition switch with your foot on the pedal and the Titan XD should come to life. Cummins says the system “…significantly reduces start time and electrical current draw, reducing vehicle charging system requirements.” The plugs are designed to last the life of the engine and require no maintenance. If you live where frigid temperatures prevail, then investing in a block heater is a sensible approach. Like other large pickup trucks, the Titan XD offers a commanding presence on the road. It isn’t especially fast, at least not in diesel form, with modest at best step-off acceleration. 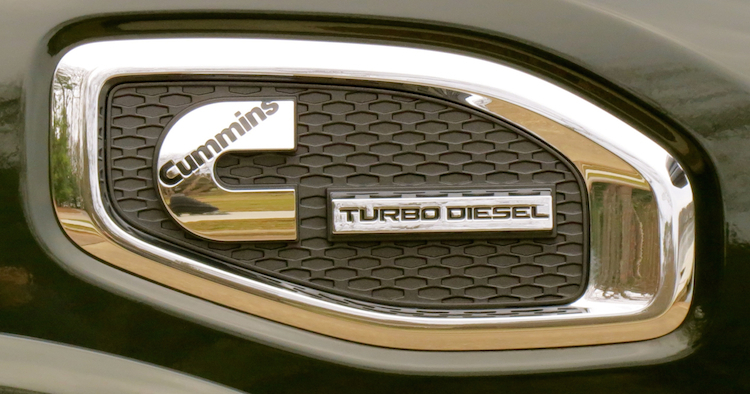 Under full throttle, the diesel proves its might, as it supplies robust passing power. I’ve towed with the Titan XD previously and know of its capabilities. 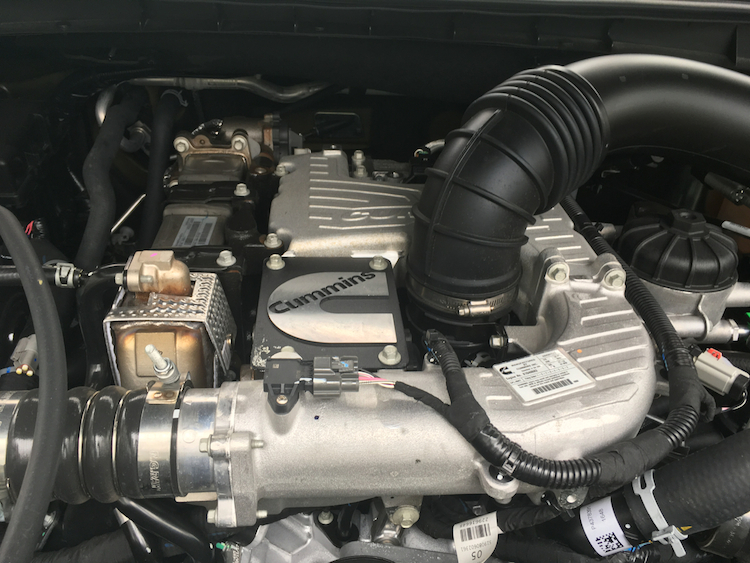 The Cummins engine simply expands that capability accordingly. As for off-roading, we were restricted by where we could go. Winter rains this year were plentiful, which means the usual places were flooded and off limits. Federal lands, including the Uwharrie National Forest in the center of North Carolina, is an ideal place to go off-roading, with it eight marked trails of varying difficulty available. Alas, these trails are shut during the winter season. A few of the local right-of-ways are also no longer accessible, but there are a handful of gravel and unpaved roads for testing in my area. I headed to two such places, then switched the drive dial to 4High and marched through puddles, sailed across gravel, and conquered muddy terrain. The Titan XD acquitted itself, with its weight and girth supplying an advantage in the open areas I navigated. That said, I wondered how well it would perform on narrow and loose terrain. But then I remembered an earlier evaluation of this model and when a clay goo could not stop it, thanks to 4Low and a locking rear differential. Fierce competition means Nissan has its work cut out for itself in the full-size truck arena. 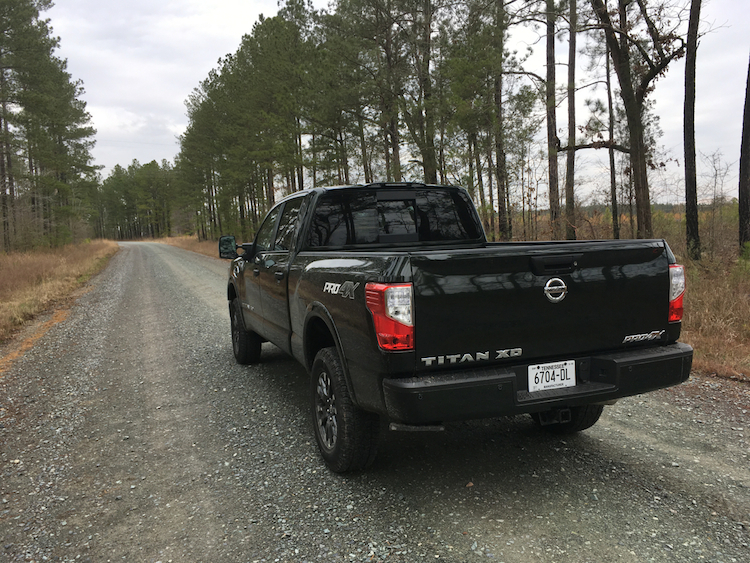 The Titan and Titan XD are ideal for Nissan Frontier owners desiring an upgrade, as they build on the success of its junior partner. Nabbing conquest buyers is the bigger challenge and that’s where Nissan struggles. All three domestic manufacturers offer more powertrain choices, although the available V6 turbo-diesel engines displace just three liters and fall short of the Nissan’s towing capabilities. The domestic diesels emphasize efficiency, while the Cummins is all about payload and towing. 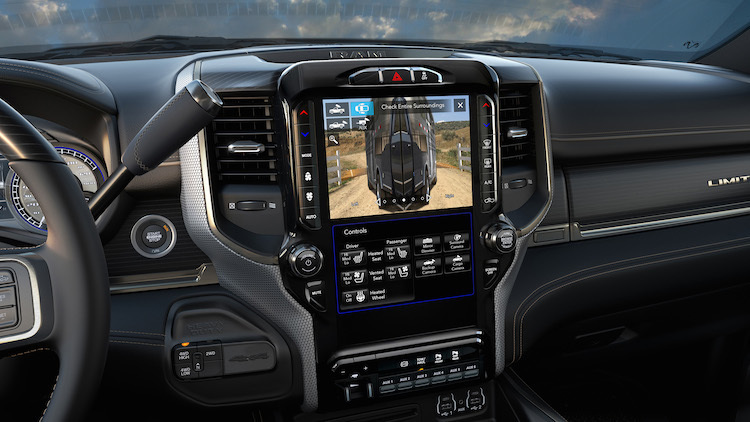 Thus, if you are full-size pickup truck shopper and plan to keep your vehicle for the long haul, the Cummins option is the way to go. Then shop with the cab and drivetrain choice you want to forge your best deal. 2019 Nissan Titan XD Crew Cab photos copyright Auto Trends Magazine.